Don't have Lexis Advance Quicklaw? Welcoming The Lawyer’s Daily into the comfortable wood-panelled reading room used by the Supreme Court’s nine members, the dynamic 61-year-old former Montreal commercial litigator talked about diverse issues of interest to lawyers, including some behind-the-scenes developments at the top court since he was appointed its leader Dec. 18, 2017; reforms to aid transparency and efficiency at the CJC and NJI; and his view that, in light of court delays and backlogs, it would be “very good” if law societies moved to require lawyers to do some pro bono work — as he predicts more and more legal regulators eventually will. The new chief justice’s public endorsement of an idea that generates lots of heat within the legal community (and which is sure to spark further discussion) is but one example of his willingness to speak openly and shake things up for the better, as well as his determination not to be part of the “culture of complacency” condemned by his court in its landmark ruling on unreasonable court delays, R. v. Jordan 2016 SCC 27. Indeed, in his first year at the justice system’s pinnacle, the chief justice oversaw improvements at the Supreme Court, as well as at the NJI, which he chairs, and which revamped its governance model and got new management six months ago — changes that the chief justice believes will assist the influential body which successfully trains the nation’s judges to pursue its mission in an efficient and transparent manner. The chief justice disclosed that he will also propose to the other 38 chief justices on the CJC, when they next meet in April, that they initiate a major review of their organization. “Everything’s on the table,” he said of the powerful judicial disciplinary body he chairs, which in recent years has drawn fire from both the public and the profession. 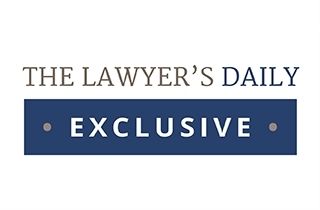 SCC Chief Justice Richard Wagner told The Lawyer’s Daily that in light of court delays and backlogs, it would be ‘very good’ if law societies required some pro bono work from lawyers. “I would like to re-evaluate and look at the organization and the way it works,” he explained. He said he will propose that outside consultants conduct a comprehensive review, including the council’s mission and mandate, its functioning, the types of committees it has, and how directions are given internally. An obvious area for reform is the persistent lack of transparency at the judicial policy-making body, which also oversees the education of the nation’s judges. For example, the council has for years refused to publicly disclose what its 39 members discuss and decide at their twice-annual meetings. That closed-door approach by the country’s largest judicial council — and the only one not to include a member of the public in its ranks — appears to be at odds with its new chair’s commitment to openness and transparency. The chief justice said Canadian judges are vulnerable to the types of populist or other political attacks that have been directed at U.S. judges. 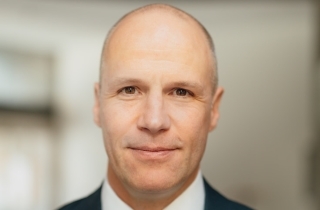 To that end, Chief Justice Wagner said the CJC will continue to ask the federal government for legislative reforms to speed up the glacial judicial discipline process — for the benefit of both the public and judges — a matter he will raise again when he meets with the new Justice minister, David Lametti. Transparency at the Supreme Court is fully supported by all its judges, the chief justice said. As a result, the top court has been, and will be, rolling out initiatives to improve its public communications, and thus enhance access to justice, including: publishing the court’s first annual report in February or March; posting the widely applauded “Case in Brief” plain-language summaries of the court’s judgments, which began last year; and taking the nine judges to hear a case “on circuit” (in a fashion) in September, when they judges go to Winnipeg for their retreat and to meet the local bench and bar. 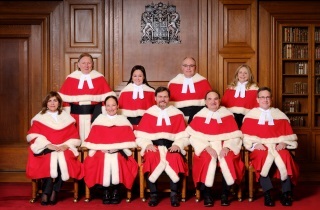 “I think it would be one good thing for us to offer to people who do not have a chance to come to Ottawa to the Supreme Court to look at what we do, how we do it, and why we do it at the same time,” the chief justice explained. 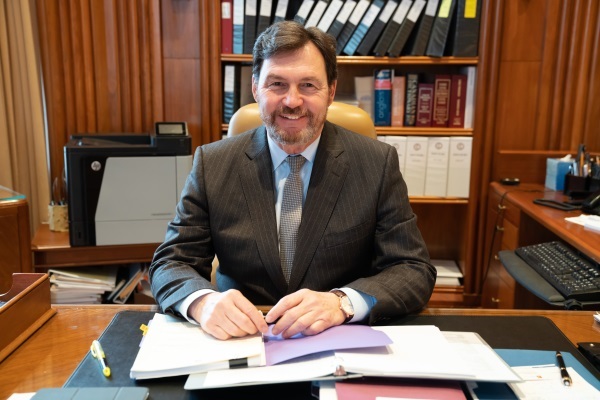 Chief Justice of Canada Richard Wagner tells The Lawyer’s Daily that more open communication by the judiciary supports public confidence in the justice system, which supports democracy. For his own part, the chief justice also makes himself available to interact with the public and the media, for example, participating this week in a question-and-answer session for parliamentarians and Parliament Hill staffers and, after he was appointed chief justice, accepting an invitation to a press conference with Hill reporters. Asked whether he will be transparent about his own foreign trips on public business, he told The Lawyer’s Daily he doesn’t object to telling reporters the destination and purposes of those trips abroad (which his predecessor as chief justice declined to do). “I have no problem with that,” he remarked. The Supreme Court has also made internal changes since Chief Justice Wagner assumed its leadership, including striking a committee to update the court’s internal regulations, and to accommodate the filing by e-mail of originating and supporting documents that the court began to allow Jan. 15. As well, at the judges’ request, the chief justice now assigns who writes the court’s unanimous or majority reasons after each two-week period of hearings. This resumes the long-standing practice before the court experimented in 2017 with a new system whereby each judge had his or her turn to choose to write (which proved unpopular). “People are happy, very happy,” the chief justice said of the current practice, whereby he assigns judgments based on the nature of the appeal, the interests of the judges, their respective workloads and other established criteria. At the chief justice’s initiative, the court is also reconferencing more frequently after the initial case conference. “It was exceptional before,” he advised. Of note to appellate litigators, since Chief Justice Wagner assumed the court’s reins, the judges are also routinely meeting for discussion in “pre-conferences” — i.e. at 9 a.m. — one half-hour before the hearing — a practice common in provincial courts of appeal. Chief Justice Wagner said the judges use that time to discuss, for example, what they see as the main issues raised by the case, as well what kinds of questions should be put to counsel. His colleagues “love the idea,” he said. Indeed, dissents are “normal,” the more so, he said, given the increasingly complex legal issues the court faces. In fact the judges were more divided in 2018 than the court has been in at least a decade — splitting in 48 per cent of the appeals in 2018, according to court statistics. “I’m not concerned about dissent — as long as it’s done the right way,” the chief justice said, alluding to the importance of judges avoiding personalized attacks and invective. The chief justice acknowledged, however, that the court departed from its usual practice of granting leave to appeal without reasons when it agreed to hear a blockbuster administrative law trilogy — which was argued over three days last December and is currently under reserve. Lawyers were surprised (and delighted) when the chief justice expressly said the court wanted to revisit the framework for standard of review and invited interventions in the appeals. The Supreme Court’s most recent statistics reveal that while applications from litigants seeking leave to appeal have held fairly steady over the past decade (there were 507 leave applications in 2018), the number of cases granted leave by the court continues a downward trend — to a low of 45 appeals heard by leave in 2018. By contrast, the court is hearing a growing number of as-of-right criminal appeals (based on a dissent in the court below). In 2018 the court sat on 21 as-of-right appeals, and decided 20 from the bench — mostly by five-judge panels who give oral, rather than written, reasons. The situation has produced complaints from the bar that the court does not agree to hear enough cases, and that the judges should be writing reasons more often in as-of-right appeals. The chief justice does not seem persuaded. “Should we hear more cases? It’s a hard thing to answer because we don’t have quotas,” the chief justice commented. The chief justice said the court gives the rising number of (mostly criminal) as-of-right appeals all the attention required by each case. While he usually assigns a five-judge panel because such cases often don’t involve legal issues of public importance, when they do, a full bench will be assigned, the chief justice noted, pointing out that he has assigned nine judges to some as-of-right appeals being heard in February and March. Asked whether the court would like to get full control over its docket — which some of its judges pushed for in the 1990s — the chief justice responded that it’s not up to the Supreme Court to decide that as-of-right appeals should be abolished. The chief justice, who dissented in Jordan, the court’s far-reaching ruling on the right to a speedy trial, said he believes that decision has overall “provided some good results” on the ground in the intervening two years. He went on to suggest it will take a couple of years more to see to what extent Jordan, and the efforts of governments and the judiciary, will make a positive difference in speeding up the court process and reducing backlogs. Asked his view on a proposal under discussion in Quebec to create specialized tribunals with specially trained judges, and Crowns, to try sexual assault charges, the chief justice replied such an initiative would be up to the legislators. “The only thing I can say is that judges at this time are willing and ready to do a very professional job” in presiding over such prosecutions. 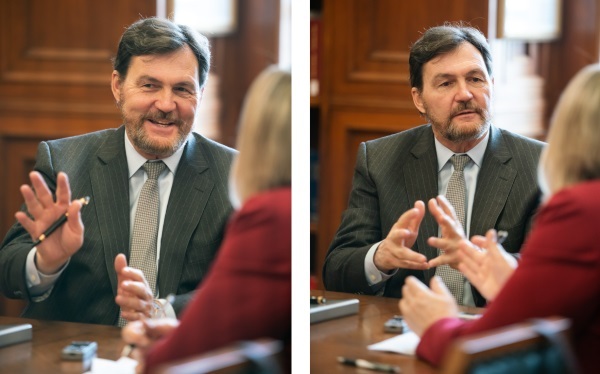 In that regard, no one is more motivated — or better placed — to improve how justice is delivered to Canadians, than Chief Justice Wagner, who now leads three of the judicial branch’s most important institutions — the Supreme Court, the CJC and the NJI.